I am always amazed at the great artwork I find while visiting studios and galleries along the Rural Routes to Main Street Cultural Trail in Hendricks and Morgan counties. And my latest Second Saturday visit was no exception. 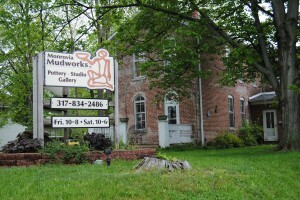 Earlier this month, I visited Monrovia Mudworks in Mooresville, a pottery studio and gallery. 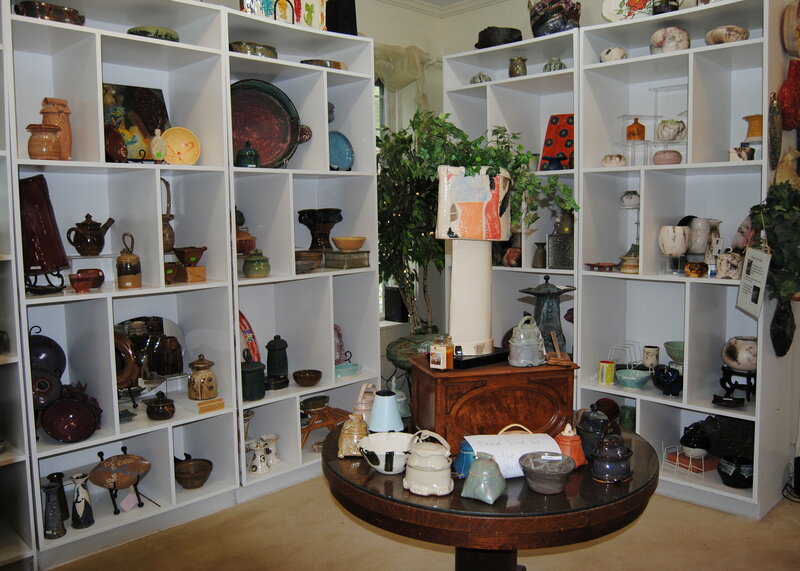 Whether you want to purchase pottery or try your hand at creating your own masterpiece, this is the place for you. When I first heard about Monrovia Mudworks, I knew I wanted to visit. 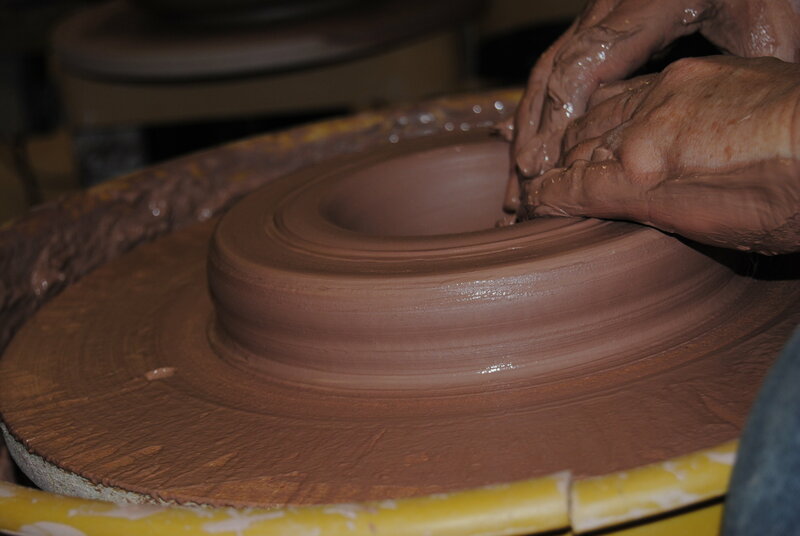 I love pottery and using the pottery wheel was always my favorite thing to do in art class. 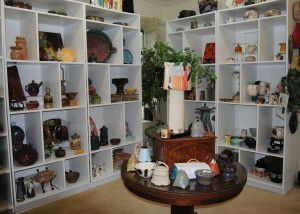 On Second Saturdays, visitors get to enjoy a tour of the studio and learn about the pottery-making process. When I visited, the owner, Jolee Chartrand, gave me the tour. We started off in the gallery where you can purchase work by Jolee. She then took me into the studio to see everything from the glazing to the kiln. The great thing about visiting on a Saturday is it’s an open-studio day. You will find students in the studio working on projects or trying out new techniques they learned in class. The students loved sharing their experiences with me and showing me their projects. I also had the opportunity to watch one of Jolee’s students use the pottery wheel. I love to watch the process. It’s amazing to watch a block of clay transformed into a work of art. Jolee wants all of her students to have a relaxed learning experience. The students I spoke with told me they have become great friends with their fellow students. Not only have they become friends, they help each other out with seeing their visions through to the finished product. If you are interested in taking a class, Jolee offers classes for both adults and kids. Check out their website for a current list of classes. 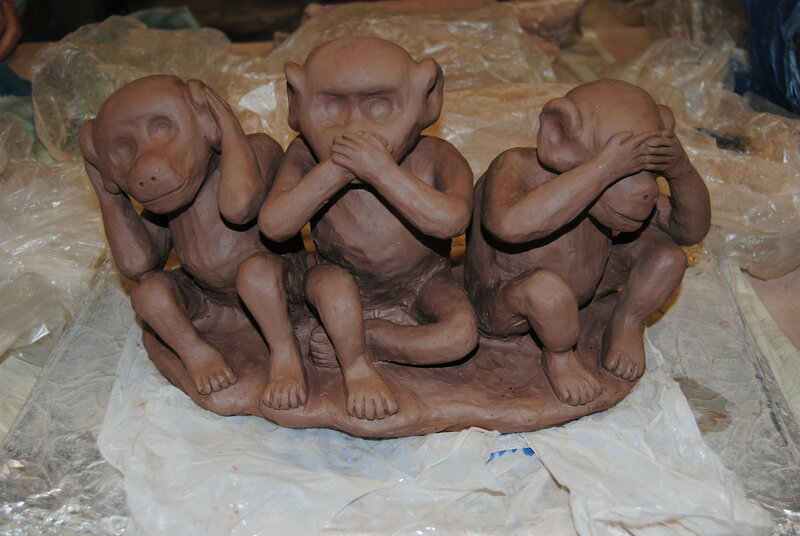 I highly recommend a visit on a Second Saturday to shop for pottery and learn about the process of creating it. The next Second Saturday is June 8. Visit the Rural Routes to Main Street Cultural Trail website for a full list of Second Saturday sites.